There are a great many paintings of snow that I admire and study. These are but a few of the wide range of styles, moments, light and shapes that I aspire to create. 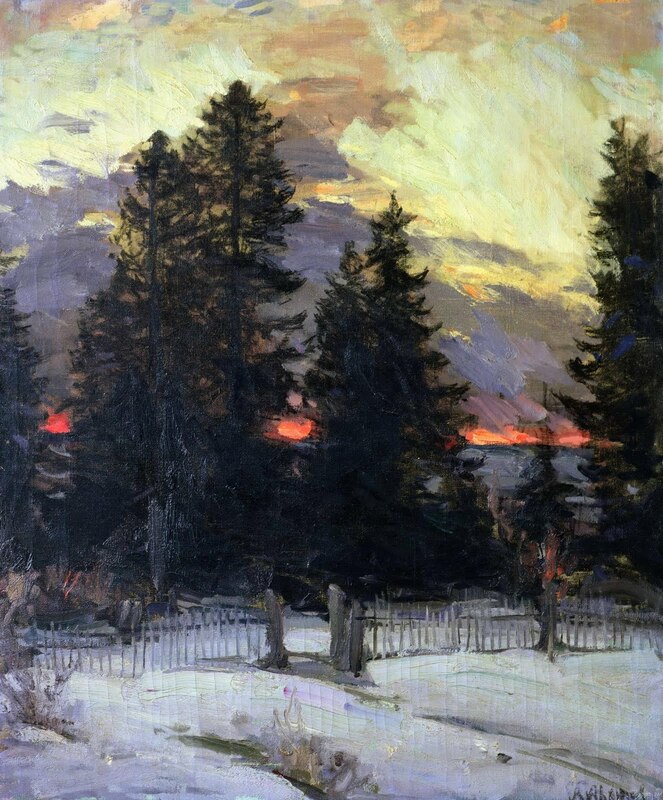 In the opening piece above, Sunset On a Winter Landscape, by Abram Efimovitch Arkhipov, it isn't necessarily just the snow that makes his painting of Winter interesting. The passage that gets me most, and has influenced my own work, is the squared, non-cloudlike shape of the clouds. 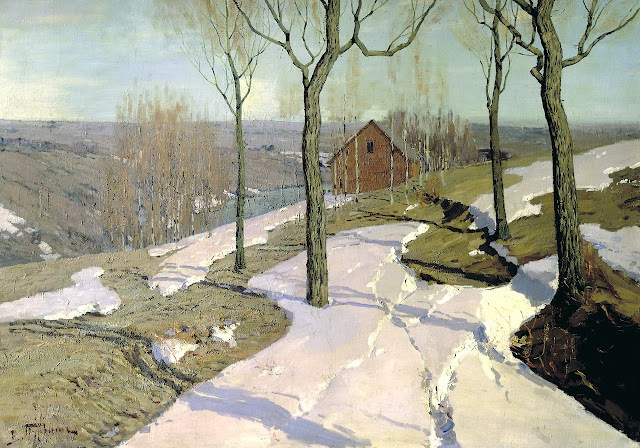 In The Last Snow, Purva Wilhelm uses the snow to drive the composition by contrasting the snow shapes with the exposed soil, but the way the artist has controlled the value of the top plane of the chunks is remarkable. The thin passages of white where the light catches the edges give them form. 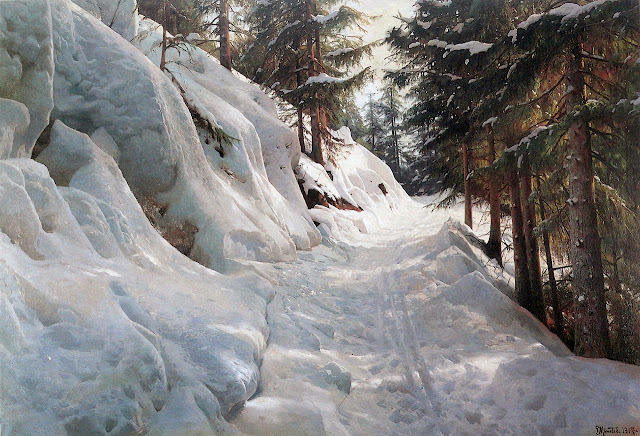 Peder Monsted created many elaborate scenes of heavily fallen snow; the details just right. In this piece, my attention is held by the shapes of the ice and snow on the left, with the subtle lumps that describe the facets of the bluff. 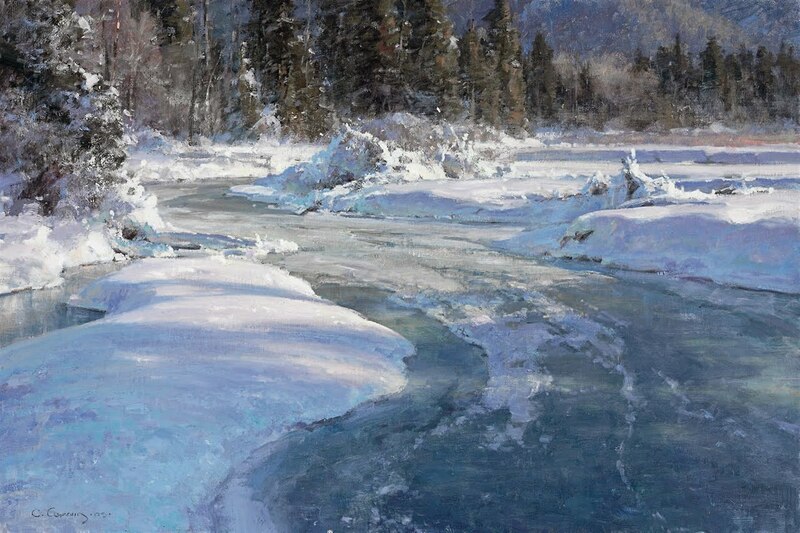 One of my favorite snow painters is Clyde Aspevig, and here the snow is everything. The way the shadows slide over the middle of the stream and up the side of the snowy island....is perfection.